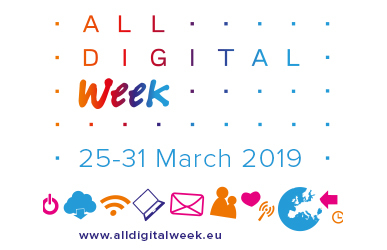 ALL DIGITAL Week has followed in the footsteps of the European Get Online Week as one of the major pan-European awareness raising campaigns on digital skills for inclusion and employment. 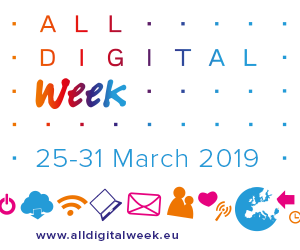 It is run at digital competence centres, libraries, schools, community centres and non-for-profits across Europe, bringing 100,000 Europeans every year in exciting online and offline events tackling digital transformation and its effects. As before, the Unite-IT platform provides networking opportunities for event organisers, hosts the photos, videos and stories from ALL DIGITAL Week.